ABC alphabet letter charts to print in 4 different colors. Bold letter charts with the full alphabet letters A to Z in PDF. We have 4 color alphabet letter charts available below in pdf format. Choose from the following colors: Black, Blue, Green and Red color charts. Print these PDF alphabet charts below for free! Each letter chart contains the full set of English Alphabet Letters A to Z. 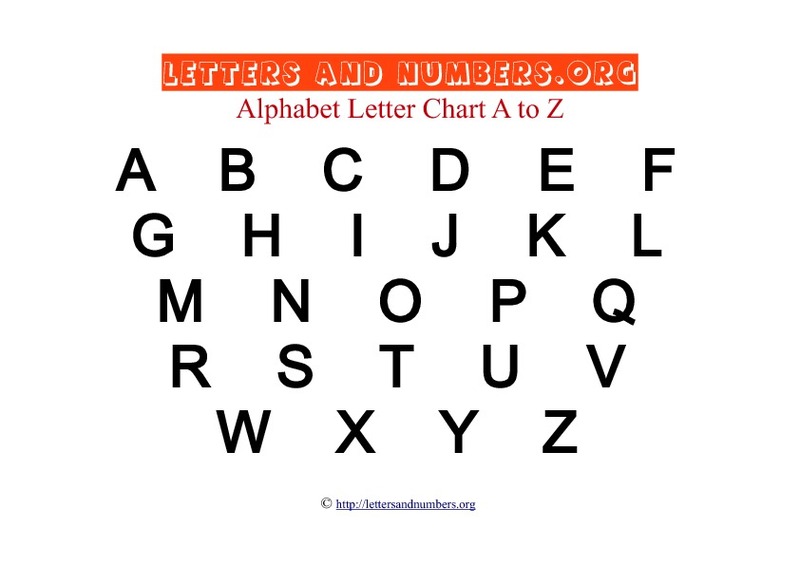 Instructions: To print our free alphabet letter charts, please click on the link below the letter chart. You can download the pdf file which will appear in the new window, or print the chart from your web browser.